When I set out last summer to write a column about the insidious, margin-robbing problem of variance, I didn’t expect the first article to morph into a series of four, but in truth, it could go longer. 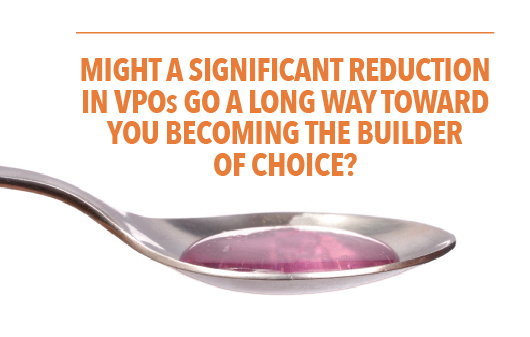 Most often expressed by the VPO—variance purchase order—the problem is just too big and that complex. You may use the common term VPO, or variants such as FPO (field purchase order), EPO (extra purchase order), or simply call them “extras,” but the principles and problems are the same. Whether product or process, material or labor, any work commissioned after the start of a home spells waste. 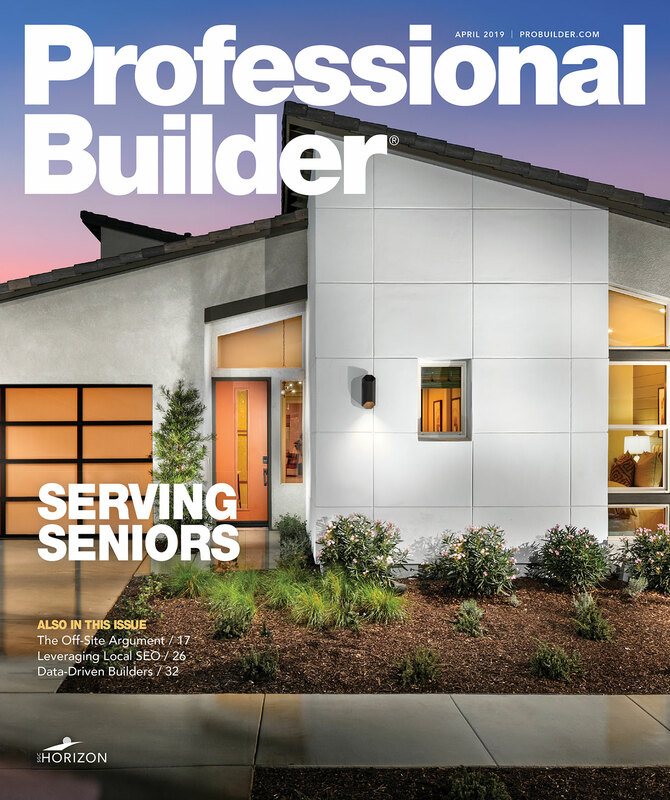 This waste is crippling and so often missed, as we saw through the eyes of a local masonry contractor in the first article, “VPO Story—Welcome to Your Nightmare,” in the August issue. We learned how a builder team needed just 45 minutes to determine that one “throwaway” item—a missing decorative keystone for a certain home design—thought to be a 15-minute nuisance, actually required 40-plus steps to resolve, likely with a true cost of more than $1,000—on every single house. Ninety-five percent of that loss had never been measured on any VPO. How could that be? In the next article, “The Variance Measure­ment Quagmire—the Nightmare Continues,” in October, we faced the reality that the sum total of variance is never calculated, and what is tracked is often counted incorrectly. We examined tendencies to cherry-pick the numerator, manipulate the denominator, and the huge measurement obstacle of culture when the numbers are buried or ignored. Only after I submitted that article did it dawn on me that I’d neglected to put a name on the single largest variance cost category of all; one that I have yet to see tracked by a single builder out of more than 250 case histories—and that includes many of the very best builders in North America. It’s hiding in plain sight, yet deceptive because it’s buried in a hundred budgets. Think you’ve got it? We’ll return to this issue at the end of the column. Finally, in last month’s article, “What Lies Beneath—the Sinking of a Home Builder,” we considered a builder slowly destroyed by a massive variance problem that sucked the life out of employees, suppliers, and trades alike. Everyone had it figured out except for the company owner, who was unwavering in his total commitment to denial. That case remains perhaps the single most frustrating experience of my professional career. We wrapped up the column with a brief presentation of 10 essential steps to eliminate variance—all of the things you must do upstream to prevent VPOs from being born. In variance, prevention is truly the only thing that matters. Variance runs so deep in many builders that they simply accept it as a part of doing business. Those firms will pass right over this column series with hardly a glance, thinking there is no problem, so why spend time on it? In fact, there are builders that let their option and selection process intrude so far into the actual construction of the home they fool themselves into believing these aren’t extras at all, “it’s just home building.” Yet, with apologies to Shakespeare, who famously wrote in Romeo and Juliet, “A rose by any other name would smell as sweet,” let’s state unequivocally that, “A variance by any other name would stink to high heaven.” No method of ignoring or burying variance will remove the stench of margin decay. Presuming, if you made it this far, you’ve most likely bought into the issue and are ready for a practical road map with guideposts, use the following as a place to launch from and milestones to check off. Don’t assume you have it right and skip anything. That comes at a price. 1. Value the variance (preliminary). In an ideal world, you just lay the variance problem on the line with a good team and have at it. Yet, for most builders, this is insufficient because they’ve never consistently measured, tracked, reported, or held everyone accountable. You need at least a cursory understanding of the depth of the problem to generate the motivation to see it through. What gets everyone’s attention are cold, hard numbers that document the true total cost of variance. Share these with your carefully selected team, then attack the issue. Your preliminary numbers will be far from comprehensive, but they’ll be enough to light the fire. 2. Check the culture. This requires brutal honesty. In a culture of fear, people will commit every sin of measurement detailed in my second article—guaranteed. If this is a problem in your company, find your allies with the guts to address it up front at the highest levels. Correcting a pervasive variance problem requires frank, open, and unassailable measurement, which demands positive support throughout the process. If anyone believes honesty will cost them their standing in the company or possibly their job, a severe yoke is hung on your ability to reduce variance in a way that sticks. This is not a search to place blame; it’s an investigation to expose all causes of variance and to remedy them. Can you see why this may create a big problem? Let’s assume you convince your staff that consistent, honest reporting on the total cost of all variance is in their best interests. 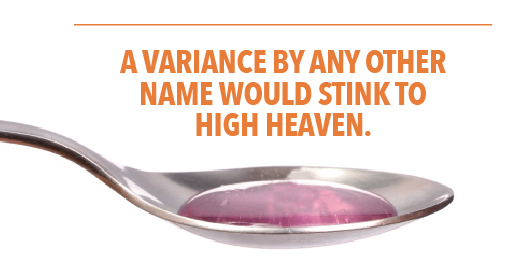 Your variance calculation will likely double, triple, or more. Your target was 1 percent and your past measurements supported that. Now, with the veil fully lifted, you discover it’s actually 4 percent. How many are confident that senior managers will stay calm and remain steadfast in the mode of, “Let’s not assign blame, let’s find the source and fix it”—especially when some of the cause points right back to senior management? How many of you who are senior managers could? And one more thing: Check the compensation structure. If you find any incentive that rewards people for keeping the variance calculation buried or artificially low, deal with it. Immediately. Never incentivize bad behavior. 3. Decide what you will measure and where you’ll begin. Anything that happens after a start package or job release goes to your suppliers, trades, and field managers is a variance. It can’t be normalized as part of your building process. If you make excuses, allowances, and routinely accept change orders, late or otherwise, you’re in denial and you’ll never solve it. To make this even more challenging, you have to measure variance in two ways in each category: by dollar value and by incidence. Looking at just one or the other will fool you. You may have, for example, 10 instances of missing items on tile orders in a month, which average $50 each for a total of $500. You also have just one occurrence of a mistaken order of the wrong tile for an entire job that costs you $2,500 including the labor to remove and replace. In this case, one is clearly worse than 10. 4. Determine numerators and denominators, and lock in measurement periods. You must be completely intentional here and address each step separately. Go back to the second article on measurement and review all of the mistakes and yes, shenanigans, that go on with both numerators and denominators in equations. Establish what goes on top (the variances you will count), and what goes on the bottom (the base from which the deviation occurs). Consistency is critical. Now consider the time period. Line-item variances are typically tracked monthly, but in some cases you may need to track weekly if the problem is severe enough. Again, be consistent. And, as I said in the opening, there remains one massive factor that no one counts. Do you have it yet? We’ll address that in the close. 5. Design and commit to the reporting. Each item you selected in Step 4 requires ownership by someone to collect and log the data, calculate the ratios, chart the numbers, quality-check sources and calculations, then publish. Of course, you need a spreadsheet with each variance tracked monthly, but remember the laws of statistical variation. Some variation in the numbers is normal and expected. Don’t have a knee-jerk reaction. When does a change signify something significant? What are your criteria? When you overreact, you create “induced variation” and things get worse, not better. Now establish your “VPO dashboard.” From that master list of variance you create the five or seven—usually 10 at the most—measures that tell the essential tale. Are you getting better or worse? These are measures that everyone understands. Use graphic representation whenever possible and appropriate to enhance awareness and understanding. 6. Structure your response. I spoke with a builder just last week that held a weekly “VPO meeting” to thoroughly review each one for cost, source, and how to prevent it. In the beginning, you may also need weekly meetings—with the goal to eventually hold them monthly, as you improve. Perhaps you’ll get so good that a quarterly review will suffice. Whatever frequency you choose, establish who attends the meeting, when and where it’s held, and for how long. Make the objective clear. Again, this isn’t an “assignment of blame” meeting; the focus is on preventing all forms of variance. You’ll solve the day-to-day problems of variance and, at times, the adjustments are embarrassingly simple. We once saw a six-figure cost reduction simply by getting the POs, VPOs, and cost codes to all match up. This is also where you (finally) accumulate the data that makes your case for the new software, additional head count, or restructuring some part of the business. The great news is that you will almost unavoidably find the dollars to pay for the changes you want, many times over. If you can recruit enough to make two or three cross-functional teams of three or four associates, all the better. Give each team a stack of 25 to 30 VPOs. Ask them to slowly and thoroughly review each one, costing them out for everyone involved, including suppliers, trades, and every single individual and department touched by the VPO. Have them determine classifications for all of the costs encountered and for the reasons why they occurred. Now compare notes, compile and condense the classifications, and determine the costs. Your team will gain a much greater understanding of the causes and costs of VPOs and will accomplish a good first step toward prevention. With this data in hand, you’re on your way to completing Steps 1 through 6 above. During that exercise, your team will quickly run headlong into the great unmeasured factor I’ve been promising to reveal. Remember the minor 15-minute nuisance item that turned into 40-plus steps costing more than $1,000 per house? Walk back through those steps and you find that at least 90 percent of them, representing the vast majority of the cost, were buried in overhead. Time for the mason, time for the superintendent, time for the estimator—and the ordering clerk on the supplier end, and the shipper, the picker, the packer, the driver, the accounts payable clerk, the accounts receivable clerk, and on and on and on. Yet what went on the VPO? Thirty bucks for the new keystone, less $25 credit for return. Five bucks! Our considerable experience with more than 4,500 suppliers and trades participating in our week-long LeanBlitz sessions shows us a low, very conservative estimate of $1 overhead for every dollar in hard cost material and labor specified on a VPO. In the case of our missing item for the mason, the overhead-to-hard-cost ratio was closer to 20:1! Let’s be honest. Do you count that? Do you track that? Is it eating away at your profit margins and those of the suppliers and trades you so desperately need? Is it time to start paying more attention to this? What’s at stake for solving the variance problem? Our significant data base says an extremely conservative take is 2 percent of the topline revenue. About half of that shows up as a percentage of hard cost, the other half is in overhead buried across 100 accounts, but mostly in time lost for construction, purchasing—and we’re not even counting the impact on suppliers and trades. Remember, you will not see all of this until you begin to count the total cost of variance completely. The margin improvement is more than enough reason to put heavy emphasis on variance reduction. But consider this: Might a significant improvement in this arena go a long way toward you becoming the builder of choice and help you beat the trade shortage? Remember our builder going down the drain in the third article? We determined that half of his total cost in construction and purchasing staff was burned up by VPOs. If your loss is just a fraction of his, solving the variance problem is more than worthy of pursuit. I hope with these four articles you find stronger motivation to dive deep into the issue and fix it—and more importantly, do what it takes to keep it fixed. Please call or email me with your discoveries and revelations during your own journey toward the abolition of the VPO. That would make another great column, in the future. For a free PDF of “Solving the Variance Nightmare,” four articles on the impact and implications of variance, email your request to info@truen.com.